Since Victor Boutin of Everlast Group announced a $50 million condo/hotel project in downtown Chatham which he made blatantly conditional on Randy Hope’s re-election, I’ve been searching for information. I admire Mr. Boutin’s entrepreneurial spirit and enthusiasm. However, in my opinion, the project as announced is implausible, and oversteps accepted practices. Mayor Hope failed to ensure due diligence. Consequently, tax dollars have assisted his re-election campaign by politicizing a premature development announcement, and more dollars are at risk due to Hope’s easy mesmerization by fancy proposals. Nothing particularly special happened to prompt the mayor’s September 30th press conference. No planning application has been made. Victor Boutin does not own that property yet. There was no reason to make that announcement other than to boost Hope’s campaign, and Hope knew it when he set things up and showed up for the media without Economic Development officials present. This is yet another example from the mayor’s office of why strong ethics reform and business understanding is needed. Developers need to know that Chatham-Kent is open for business, and that it does not depend on who is mayor, nor does it take partisan press conferences. Investors must be assured that we work as a team, one process is followed for all, the playing field is even, and competing interests aren’t using or promising backdoors to endrun due process. That’s not a slip of the tongue. Thus, an investment announcement that is a culmination of municipal resources has become part of Randy Hope’s re-election campaign in a way that’s better than money. This is eerily similar to the “$70 million if Hope elected” incinerator hoax that was perpetrated on voters in 2006 to rocket Hope and friends into office. This is why I had Hope’s campaign audited, expecting such loopholes to be closed. Instead, as a result of perjured testimony and a million-dollar lawsuit against Hope’s opponents and other innocent citizens that artificially narrowed the inquiry’s scope and censored the media, the findings were altered to exonerate Hope and the endorsement game was legitimized. Hope won’t have to claim a dime for Boutin’s priceless promotion, but he should. I have researched Mr. Boutin and Everlast Group, and must admit the record is sparse. In 2000, his former company Everlast Restoration placed one of the highest bids on a bridge rehabilitation project in Chatham-Kent. A search in other municipalities showed tenders where Everlast did not submit bids at all. I could not find one awarded or completed project, although this by no means constitutes an exhaustive search. Presumably, Everlast Group would have their own accomplishments proudly posted somewhere and submitted for the people of Chatham-Kent to consider, but their website does not demonstrate one single finished project. We’ve heard that Everlast Group is associated with the Barber Mill project in Georgetown. The ancient mill site sits in dilapidated ruins today despite Boutin’s $75 million restoration plans dating from 2004. This appears to be his only pending project. Granted, there have been substantial local obstacles to his plans, and he was forced to revise the development. The property is owned by 879662 Ontario Ltd. Considering that Georgetown is the only other project anywhere near this scope, I examined their leadership. Mayor Rick Bonnette was first elected in 2003, beating out incumbent mayor Kathy Gastle. Bonnette was re-elected by a landslide against one opponent in 2006. This year he is acclaimed. Most of the Barber Mill opposition came from concerned residents and certainly not the mayor. There was no change in political direction after 2004. Unless he can point to another development somewhere that was impeded by a new mayor in 2006, Mr. Boutin’s statement is not true. If he’s referring to Rick Bonnette’s defeat of Kathy Gastle, that happened the year before he proposed the Barber Mills project. Were plans worked out in advance that were thwarted by the election? It’s very interesting that former mayor Kathy Gastle was soon employed by Everlast Group as the spokesperson, immediately lobbying Halton Hills for the Barber Mills project. In fact, the only Halton Hills council minutes I could locate on the proposal indicated that the Barber Mill project was represented by somebody other than Boutin – former mayor Gastle herself. At the time Kathy Gastle was defeated, Halton Hills CAO Steve Andrews had suddenly resigned for undisclosed reasons, following revelations that Andrews had stated an intention to expropriate land from a different developer for the town. The Municipal Act prevented a lame duck council from appointing a replacement. Andrews apparently received a controversial settlement that wasn’t in his contract, and this became an election issue. Thus, Halton Hills had many changes in 2003, but we don’t know if any of those were relevant to a project announced in 2004. I am having a hard time substantiating Mr. Boutin’s comments that he’s met mayoral resistance to the point where he justifies personally wading into our election with multi-million dollar partisan mayoral endorsements. In business, that kind of proposition is unheard of and certainly inappropriate. Boutin seems to have hired a spokesperson who might not have been on the best of terms with mayor Bonnette, so any problem there is self-inflicted. That Halton Hills’ former mayor promptly ended up in his employ as a lobbyist raises more questions. What exactly is Hope doing for Everlast while he’s still mayor? Does he have options lined up for after the election? I think this relationship needs a closer examination. If anything, this highlights the need to create a Lobbyist Registry that my platform has proposed from day one. If Boutin has any valid area of concern at all, it should be of Hope or perhaps the council race. Instead, he ignored better options in those lined up to replace the mayor and stomp out his political mischief. Comments not based on truth or fair comment that tend to disparage an identifiable person and lower their reputation in the community are defamatory. I do not consider that failing to meet with other candidates prior to endorsing Hope was particularly fair. Nobody opposed the project, but Boutin’s endorsement is exposing the fact these plans aren’t what they seem, and aren’t even ready for the aggressive timeline promised. Boutin did not take the time to consult with Hope’s opponents to chart their vision for Chatham-Kent, nor did he accurately interpret Hope’s so-called “vision” which remains a mystery to our own people. His justification citing political changes elsewhere was allegedly false. Victor Boutin made inflammatory and disparaging comments against Hope’s challengers including myself that cannot be substantiated, with an added ultimatum that circumvents our due electoral process. That is allegedly defamatory and who knows what else. There can be no defence of “responsible research” when I’ve never been given the chance to present my own vision for Chatham-Kent. The $50 million question is – how did Boutin form his opinion of the other candidates? If it didn’t come from us, then perhaps it was the mayor casting false aspersions on our reputations? I’d like to know how Boutin became so misinformed and worried that he involved himself in our election. For the past four years, it is plain and obvious to local residents that mayor Hope has been virtually rudderless, with no coherent direction. He has knowingly enjoyed the protection of lawsuits against his opponents and their innocent families. His own stump speech says he didn’t do enough. Did Mr. Boutin see something in Hope we missed, or does Hope have a doppleganger? My leadership is no threat whatsoever to economic development. My hard line on ethics ought to be refreshing. My mayor’s office won’t have a back door. Mr. Boutin can be assured that I do my research and will do everything possible to ensure he is treated fairly and welcoming in Chatham-Kent. Taxpayers can be assured that I won’t sign on to unconvincing proposals and hidden costs. In 2004, Boutin’s Everlast Group had a website for one year that listed their primary focus as “New high-rise and medium-rise construction – providing mainly sealant, smoke seal, and foaming,” and “Existing high-rise and medium-rise construction, providing an extensive variety of services with respect to exterior envelope and underground garage repair.” Then it disappeared around 2006. This is a far cry from the way Everlast is portrayed today, with their new website listing involvement as experts in development, construction, contracting, waterproofing, bridges, geothermal & wind energy, restoration, and demolition – long on jargon, short on accomplishments. No examples of finished work are posted, and the site is anchored around the nonexistent Barber Mill development. This website emerged on June 1, 2010, and it seemed to redefine the company and add experience not present in earlier versions. It states Everlast Group Ltd. was “formally established in 1980.” The previous Barber Mill site pegs the date of incorporation at 1985. Did Boutin buy an older company to add experience? 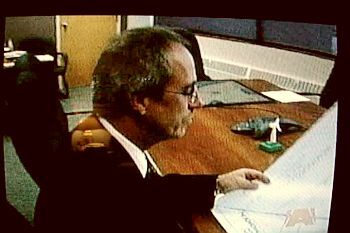 The Everlast addresses map to Sota Glazing Inc., which is believed to be part-owned by Victor Boutin providing pre-glazed unitized curtainwall. Like Everlast, Boutin is portrayed as “an integral part of the management” although he isn’t listed anywhere on Sota’s own website. Archived copies also fail to mention Boutin’s role in Sota. There does not appear to be a stand-alone location for Everlast Group, and I didn’t see any signage in Brampton at the Everlast addresses. Everlast seems to have no accomplishments in Brampton, where its hometown municipality lists the company activity as structure rehabilitation, sealing and waterproofing – Boardwalk on the Thames appears way beyond their level of expertise. The only Victor Boutin listed in the GTA phone directory gives the address of a law firm on Steeles. What do we know, then? All this demonstrates is that we really don’t know much about this company, or whether they have the resources to complete in excess of some $150 million in promised developments. Has anyone checked their financial means? I’d like to see proof that financing is in place, and find out what bank will loan it based on political conditions. Did Hope see and understand a business plan, like he demanded of the Capitol Theatre? Perhaps mayor Hope’s objectivity was blinded by the help his campaign received from the announcement’s timing, but if these projects don’t get finished, it might make the Capitol Theatre’s taxpayer commitment look like bread money. Looking at the condo project Boutin unveiled, I cannot believe it’s ready to dig. The municipality has not received any planning applications to allow such an aggressive start. 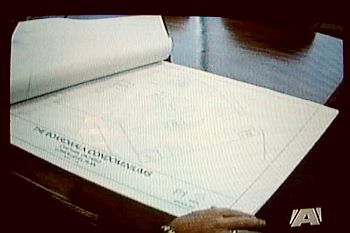 There is no site plan on file. A survey sketch is done, but apparently nobody has it. The zoning needs more than just a minor variance to get through council, and no Plan of Condominium has been filed. At most, planning officials held a couple of meetings that outlined the steps that are required to submit an application. There has been no application to the LTVCA. In fact, they only spoke with the developer for 15 minutes. The only material they have came from the municipality, and those plans are not acceptable because mechanical rooms and parking are planned below flood level. A hearing is required to vary the 70 foot creek setback. The developer went ahead with conceptual drawings without accounting for the flood plain. No overhead site plan was provided. This project is still 4-6 months from commencement if every single application were submitted today, and approved without a hitch. Mr. Boutin does not own the property yet. The artist’s concept depicting a flat street-front across the whole block doesn’t even make sense. There would have to be a major realignment of King Street across the front of Sears at taxpayer expense, and the existing buildings in the drawing face the wrong way. He only plans 64 underground parking spaces for 86 units plus retail spaces, with “more” parking on site. There isn’t room, but that’s not insurmountable. The flood-prone Simcoe Lane would need reconfiguration. The architectural drawings just seem impossible – that building as depicted won’t fit there. I’ve had an architect look at the picture and he says it isn’t a perspective drawing and the building would have to be “V” shaped because King Street bends 35 degrees in the middle. The day Boardwalk on the Thames was unveiled, Boutin was “tight-lipped” about his plans for the YMCA property. “He said the project is still in the early stages and it’s too soon to talk about,” according to the Chatham Daily News. He got his ducks in a row mighty fast. The very next day, Boutin announced intentions to build a high-rise for the site, with the same strings attached to Hope. A high-rise would impact the CKHA helipad clearances right across the river. That sale doesn’t even close until August 2011. There is no site plan either. How high is this high-rise and will our firetruck ladders reach? Given his endorsement of Hope, that announcement was pure politicking. I’d like to see a copy of the Real Estate offers where closing is conditional on Hope’s re-election, and why the YMCA would accept such a stipulation. No mention of Hope was made when Boutin purchased the church from Brian Chute. A search of the land title indicated Boutin Holdings Ltd. paid $500,000 cash on October 22, 2009. Plans for the property are unclear, and have changed since it was purchased. The lack of parking is a deal-breaker for virtually every proposal so far, and nothing has made it into the planning process despite consultations. Whatever is planned will need special accommodations to bypass zoning restrictions. The YMCA purchase doesn’t close until August 2011. The downtown condo property offer to purchase has not been closed yet. Where are these “millions” in investments attributed to mayor Randy Hope besides in press conferences supporting his candidacy conditional on Hope not losing? Where is CAO Rob Browning and Kathy Weiss at Economic Development Services? Their silence is interesting. Perhaps they see the project is being used for partisan purposes by the mayor, and have declined to get involved. Calls to Kathy Weiss were not returned by press time, and EDS staff declined comment. In my opinion, the facts in this matter do not add up. Many of Boutin’s statements are contradictory and unsubstantiated. Randy Hope has not performed due diligence. Red flags are popping up all over this bizarre endorsement. Something is wrong with this. Municipal resources have been devoted to a project that now openly supports the mayor’s re-election bid. His opponents are vexed if they are seen to question the veracity of the claims and thereby compromise an investment. I have seen enough evidence to warrant immediate questions about these proposals and the election-motivated timing. Randy Hope is too absorbed in his perceived campaign gains to be watching out for taxpayers. Furthermore, I call upon Mr. Boutin to retract his comments that only Randy Hope has a vision to move Chatham-Kent forward, and to renounce his involvement in our municipal election under threat of taking his money and leaving Dodge if the vote doesn’t go his way. Transparency and democracy demands nothing less. We need investment that plays by the rules, and can’t afford a bad precedent no matter what is dangled. These measures will ensure Chatham-Kent has a reputation for treating investors professionally, fairly and equally, and I promise Mr. Boutin nothing less. My research and actions will always be in the community’s best interests. I’m confident that voters will decide Randy Hope’s unusual alliances are not how we are going to do business or elections in Chatham-Kent. I lay the blame squarely on mayor Hope. Somehow he must have imparted the notion that his competitors would impede progress. I’ll work hard with Mr. Boutin and the municipal team to repair this damage and proceed with all desirable projects. On behalf of taxpayers, I’ll closely examine proposals for hidden costs, illogical components, and due diligence. If Randy Hope had an ounce of business experience, he would have recognized that waiting until 25 days before the election to make partisan announcements with conditions about a plan that’s nowhere near ready was not wise. He should not have allowed this to happen despite his past success exploiting the endorsement strategy. We won Boardwalk in Monopoly based on Hope’s instructions to rig the vote in our favour – real elections don’t work that way. This project could very well be fully above-board. I’m sure that Mr. Boutin will appreciate some critical scrutiny and investigation of the plans and objectives, and welcome the opportunity to present a more complete disclosure of Everlast Group’s credentials. I don’t know if other municipalities welcome investments with political conditions, but I think this kind of ultimatum is a scandalous proposition. Mr. Hope ought to have let him know that intimidating voters with vexed “vote Randy Hope or else” demands is not how we do things in Chatham-Kent. If these proposals pass objective scrutiny, I’m more than willing to forgive and forget and work together with Mr. Boutin. If they continue to sound fishy, I may be the one saving taxpayers from a big mistake which includes 4 more years of mayor Hope. I submitted the following Freedom of Information request to the clerk. Nobody knows that Randy Hope is legally in charge of Freedom of Information requests, and he has erected so many roadblocks to municipal information that I have 3 Appeals to the Privacy Commissioner outstanding, and two more pending. This also needs to be changed by electing myself. The municipality advised that my request (even though I’ve independently verified that most documents don’t even exist) will need the entire 30 days to provide a response – Conveniently after the election. 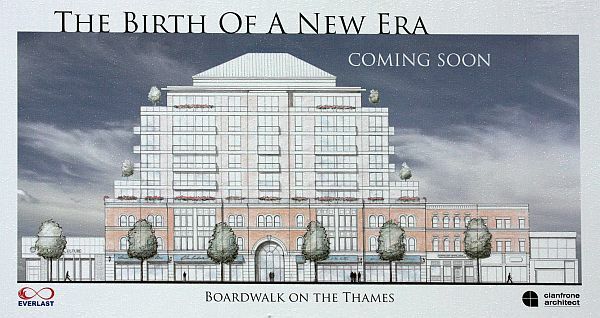 The business plan submitted to the municipality by Everlast Group with respect to the proposed Boardwalk on the Thames development, including references. 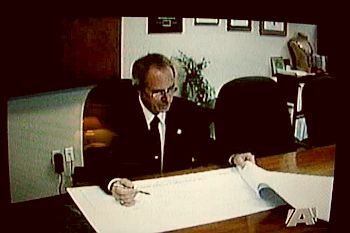 All architectural plans, structural plans, site plans, surveys, blueprints, floor plans, excavation details, LTVCA approvals, soil tests, environmental assessments and setback distances provided by the developer in support of the project or to secure building permits to enable the December start stated by Victor Boutin in the media. Also, maps showing municipal setbacks. The zoning applications submitted by Everlast Group for the proposed Boardwalk on the Thames development to allow digging to begin in December. How long would the zoning and approval process normally take on a project of this scale? Is a December start plausible? The cost to taxpayers of any re-alignment of King Street to remove the 35 degree angle that is not depicted in the building frontage on the developer’s concept drawing. The regulated parking requirement of a building with 22 hotel rooms, 64 condos, and 15,000 square feet of retail space. Any irrevocable letters of credit, proof of financing, and promises of performance attached to this development, and any documents in which the project is verified for financial viability. 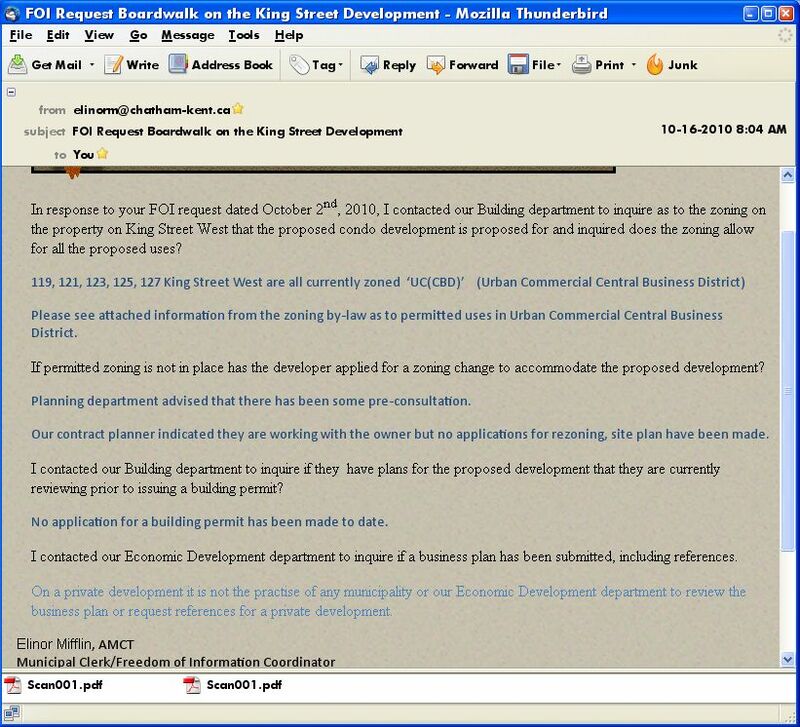 All correspondence between Everlast Group, Victor Boutin, or any agent, and Chatham-Kent Economic Development Services, Mayor Randy Hope, and municipal administration. Full particulars of any accommodations, variances, incentives, or municipal resources that have been provided or promised to Everlast Group and its principals in association with the Boardwalk, Park Street United Church, and YMCA proposals, including the cost to taxpayers. Future municipal costs that would typically be associated with a project of this magnitude. Records of all municipal assistance and service provided to Everlast Group and its principals to date, and any expenses incurred by the municipality. Who arranged Mr. Boutin’s press conference with mayor Hope held September 30, 2010? Was this an EDS endeavour? A fair valuation of municipal staff time spent dealing with Everlast Group proposals, in dollar value. All other documents under municipal control relating to Everlast Group, including their Everlast Restoration bid to replace the Jacob Road Bridge submitted in response to Public Tenders that closed December 19, 2000, and any other tenders for which they submitted bids. Is this property zoned for such a development? Would a high-rise building directly across the river from the Chatham-Kent Health Alliance helicopter landing pad cause restrictions to medivac access? At this time, I am only requesting to view the documents, but I may request copies of particular items later depending on what is disclosed. This request is time-sensitive. Please provide a prompt reply. It’s deja vu – a potential investor has politicized a major development announcement with an endorsement of Randy Hope, promising to take his millions and leave if Hope loses. This places other candidates in an untenable position, considering that Mr. Boutin made his announcement without even talking to those lined up to replace Hope. Had he done so, Mr. Boutin might have found that my vision for Chatham-Kent is much more progressive and business-minded than Hope’s meandering myopia. Now, candidates are vexed by risking an investment in our community simply by challenging Hope, which has very undemocratic connotations. A Brampton-based corporate agenda seems to have redefined the election, paradoxically pitting every opposing name on the ballot against a development that I personally supported. 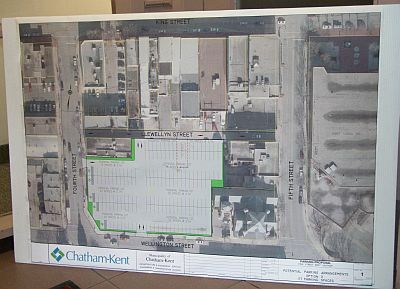 If Chatham-Kent doesn’t re-elect Mayor Randy Hope, there’s no hope for a multimillion-dollar hotel/condo project in downtown Chatham. That, according to Brampton-based developer Victor Boutin, president of Everlast Group, who made the comment Thursday morning after unveiling plans for the project, named Boardwalk on the Thames. He said if Hope wasn’t at the helm of the municipality it “would change everything. Ouch. Boutin didn’t do his homework there. Anything good that happened in Chatham-Kent over the past 4 years was in spite of Randy Hope, who opposed virtually every progressive idea and took credit for the work of many others. I suggest the blame lies on Hope for misrepresenting his accomplishments. Mayor Hope cited the Capitol Theatre for creating this kind of new interest in the downtown – a venture he strongly opposed and impeded every step of the way until the ribbon-cutting photo-op. Did he tell that to Mr. Boutin? With one nay vote, Hope went against council and single-handedly killed the Rec Centre – poisoning relations with a major educational institution in the process. It’s ironic Hope is now being credited with having vision. Perhaps he embellished his resumé. In a way, it’s no surprise that four years’ worth of stagnation, inaction, failure and bumbling is being countered in the 25 days prior to the election. I had anticipated a flurry of eleventh hour publicity stunts and good-news announcements. What did Hope do the other 1396 days except play games and miss meetings to cut ribbons for page one? The mayor approached members of the media following the press conference to discuss Boutin’s comments and attempt to shed light on the developer’s position. Mayor Hope has thrived on situations throughout his term where opponents were intimidated and muzzled. His handlers threatened people at their workplace for bringing confidential concerns to council. Innocent citizens were sued for $1.1 million to protect Hope from scrutiny – which tax dollars may have financed. This mayor is no stranger to political mischief. Bearing similarities to today’s announcement, Hope capitalized on a scheme in the last election promising a $70 million investment that was also contingent on him winning. In the absence of any progress despite a trip to South Korea, we can only conclude it was a hoax perpetrated on the voters by Hope’s Machiavellian campaign supporters. 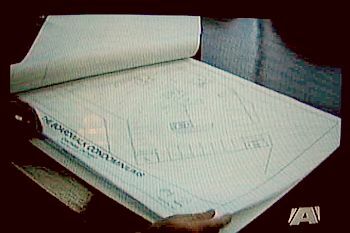 When this was examined during an official investigation, Randy Hope lied in testimony about the incident. So voters are faced with a decision to re-elect an unethical mayor to secure a purported large investment, or else chose a new mayor with the genuine vision to move Chatham-Kent forward for real on behalf of all citizens, but maybe jeopardize one project in the process. I don’t think Mr. Boutin is being fair by pronouncing his endorsement without speaking to the rest of us. I’ll give him the benefit of not knowing Hope’s prevailing modus operandi. I have no doubt Hope personally “informed” Mr. Boutin about each of his opposing candidates, and knew this ringing endorsement was coming when he kicked off a campaign with no platform. I am more than willing to sit down with Mr. Boutin and discuss my vision for Chatham-Kent’s future. He might be pleasantly surprised, and I trust his comments today were made off-the-cuff based on Hope’s faulty information. My platform proposes a great deal of teamwork to secure prosperity, and I’ll perform due diligence with every matter that’s above-board. In the meantime, perhaps Mr. Boutin will withdraw his comment and allow the election to unfold naturally. After what happened last time with the $70 million incinerator ruse, this investment with strings attached risks being labeled as more of Hope’s election theatrics and not taken seriously. Remember Canril and Home Depot in 2003? It’s unusual for an investor to go through all that trouble based on a particular mayor being in office – the election date was no secret when the Boardwalk was first proposed. Elected as mayor, I’ll do everything possible to prepare Chatham-Kent for new investment and economic development, while advocating on behalf of the people and our businesses. Mr. Hope has done enough damage, and I hope voters will not fall for the same kind of strategy twice whether it’s intentional or not. The only thing missing now is some kind of boycott, and Mary Lee dropping out to endorse Hope. One hundred years ago, my Great-Grandfather Charles Austin was elected mayor of Chatham. My Grandmother wrote in her diary, "The election was such a nasty affair. You wouldn't believe the terrible lies they told about dad." I hope her comments won't prove just as valid today for me. I have agonized over my decision to run for mayor. My papers were supposed to be filed much earlier, but my family and I were subjected to anonymous criminal extortion attempts that I think were meant to intimidate me against running. Apparently, some cowards don't like what I might say, and they tried to stop me by harassing my family. This may be validation that the research and facts I presented on the Maple City Star are sustainable. Somebody wants me taken out of circulation and muzzled during the campaign. When you see "Austin Wright" on the ballot for mayor, that is who you will get if I am elected. I have no tolerance for the bait-and-switch we experienced last time, and I'm clear of third-party influences. My advisors will be council and you the public. I am not running for me - I am running for our future, our children's future, and to give a voice to every person in this community. I am a businessman dedicated to achieving big results without using huge resources. No other municipality in Ontario has such an untapped potential for success! There is already an organized smear campaign poised to wreak havoc with my candidacy. It includes malicious falsehoods, defamatory libel, forged documents, extortion, vexatious lawsuits against innocent citizens, and invasions of privacy. I will not allow anonymous cowards any success in employing fraud to limit the choice Chatham-Kent voters have of candidates for mayor on the ballot. The only way this kind of activity can be combated is to expose it to light. My platform includes a comprehensive ethics component designed to peel back the opaque layers of secrecy and phony transparency at city hall. I will move to appoint an Integrity Commissioner, and implement a Lobbyist Registry so that nobody is able to short-circuit our elected council by whispering instructions in Administration's ear or hide behind privacy laws to conceal their lobbying efforts. I will recommend the establishment of a protocol for private citizens meeting to lobby directly with municipal staff, including rules requiring council notification prior to developing any reports or policy. Municipal doors should always be accessible to the public, and the will of council must prevail. People must be free to bring concerns to council without fear of retribution. We need to have strong ethics guidelines and freedom of speech in place if we plan to prosper. Not many people know that mayor Hope was quietly put in charge of Freedom of Information administration, which politicized the process by giving the mayor copies of FOI requests and responses without the knowledge of the applicants. I will bring a motion to immediately appeal the by-law that allows the mayor to view and filter all freedom of information material and use that information against opponents. Chatham-Kent is in a financial crisis. Our unemployment rate is practically the highest in the country. We cannot afford to keep raising taxes and spending like a big city. Time and again we read how potential investors fell off the radar and located somewhere else. The last four years of mayor Hope 's business attraction efforts have been about as effective as shovelling incinerator smoke. I have an aggressive plan to pull Chatham-Kent out of the present stagnation and pursue prosperity. My business attraction efforts will exceed the current strategy of mailing a letter. I will relentlessly pursue potential business leads, and utilize every resource within my reach to make a positive first impression and give Chatham-Kent the edge we deserve. Efficiencies will be identified that maximize tax dollars. I will insist that new spending be analyzed for a Return On Investment. We can still achieve big results with fewer resources if we work smarter. The notion of taxpayers being a limitless ATM must stop. We've had no meaningful success towards filling our vacant industrial land. I propose changing the concept of our 401 Industrial Park to a new design introducing green elements with which industry will want to be associated. When courting business, I will consider all available commercial and industrial opportunities in every community of Chatham-Kent, not just Chatham. I will present ideas to find economies with the fortune in tax dollars being spent on Information Technology, while putting Chatham-Kent on the forefront of open standards. We will strive to be leaders in saving money by taking data out of costly proprietary formats, and using free Open Source software that we can modify and control, unencumbered by licencing requirements. This strategy can actually create local IT jobs for a lower IT budget. Our website should be made more user-friendly, and I'll make sure there is a portal for every community in Chatham-Kent. We will endeavour to solicit world-class content from our own residents, at no charge to taxpayers. Chatham-Kent will maintain a positive presence on emerging new media. Council agendas will be made more accessible online, and online services will better accommodate those with disabilities. We have spent too much on logos, professional studies and master plans that could have been developed much more economically by our own people. This is our community, but it's being molded by distant consultants with no stake in the outcome. As mayor, I will oversee a migration towards less reliance on costly consultants, and start making better use of resources within the community by initiating citizens committees, think tanks, and brainstorming sessions. If elected, I will establish a policy direction to encourage the creation of special events that would serve as tourist attractions. Our unique history will be maximized as a basis for new programming and travel destinations. Chatham-Kent will be promoted as a centre of excellence for motion picture, television, and new media arts to facilitate local movie and television productions. Our PUC must be kept public, and follow policies that are in the public interest instead of being driven by corporate marketability. I'll establish criteria limiting expansion and amalgamation to initiatives firmly in the best interests of ratepayers. I will work to mitigate the financial impact of misguided time-of-use electricity billing policies that will negatively affect the cost of normal household routines despite conservation practices. Seniors and families should not be limited to cooking, washing, heating, cooling, and living during the night to avoid excessive hydro costs. High-speed internet is critical to keep Chatham-Kent competitive. I will work with industry participants to position Chatham-Kent on the forefront of innovative fibre internet projects. Access to this infrastructure is becoming the number one criteria of business and residential attraction. Whoever gets it first will have the edge. Education is the key to success. I will work to improve our graduation rates, literacy, and skills training. I want to form a qualified citizens committee to develop a strategy aimed towards attracting post-secondary education to Chatham-Kent, including academic programs. It will explore possible options for the Southwest Regional Centre. I will reverse damaged relations with St. Clair College. My conduct as mayor will strive to restore a sense of community identity and civic pride that amalgamation didn't seek to preserve. I favour initiatives that provide a degree of local autonomy, and allow some local benefit and reward for community accomplishments. I'll support removing red tape for local endeavours such as outdoor ice rinks and celebrations. I will partner with local groups to inspire entertainment ideas that will encourage "city" people to visit our rural communities. I am not a politician. I'm a father and husband struggling to make ends meet like too many other people in this community. I've walked the walk, and have an acute understanding of the need for greater municipal fiscal accountability and economic opportunities. Over the coming weeks, my platform will outline additional ideas, and address the concerns I hear. People expect answers and foresight during a campaign, but they often get double-speak and publicity stunts instead. I will commit to listening, remaining accessible, and being responsive even after the ballots are counted. I may not have a warchest of financial resources to run a mayoral campaign, but I have the best interests of my community at heart. I believe that I represent the strongest vision for moving Chatham-Kent forward, and some of my past platform ideas have already been implemented. If elected as your mayor, I will devote a full-time effort to achieving the success that has eluded Chatham-Kent during the past four years. Together, we can make Chatham-Kent better than the sum of its parts! My official campaign website and bio will be posted at www.ckon.ca. The Chatham Daily News reported on September 1, 2010, that Randy Hope was filing his papers to seek re-election as mayor on Thursday, which he has now formally done. In comments posted online beneath the article, a blogger asked the media to grill Hope over his connections with other candidates. It suggested local media was too afraid to ask any hard questions of any of the declared candidates. The poster also alleged that the mayor's office may have had something to do with the dissemination of private municipal records which later showed up in an anonymous extortion attempt against another potential mayoral candidate. Mayor Hope has so far refused to disclose whether anyone was provided with those records, and after a week has not denied the involvement of his office. While this proves nothing, it's surprising he didn't take immediate steps to clear any suspicion. Another poster commented that they thought Ian McLarty was running as a decoy, and that everyone was talking about Mary Lee probably being up to more tricks. Both have published connections to a person known to be Hope's closest advisor. It suggested the election was becoming a joke. It's not known whether local media intends to cover the election fairly after their role in tinkering with the election outcome last time. For the past four years, criticism against mayor Hope has been curiously absent in the media, replaced by a record number of staged ribbon-cuttings and photo-ops, along with an obvious editorial slant that just stopped short of looking like open endorsement. Normally, the media would be interested when anonymous cowards allegedly engage in extortion attempts against a potential mayoral candidate's family timed to intimidate them from running, particularly when it involves judicial proceedings, forged documents, and municipal information that passed through the mayor's office. Not in Chatham-Kent though, where political secrecy appears to be the predominant mode. This website has conducted months of investigative journalism and promised to tell-all about what mayor Hope and his friends have been up to, so that voters can judge the facts accordingly. Explosive documents were obtained through Freedom of Information requests. Somebody doesn't like that, and local media won't touch it. Instead of using official channels to challenge facts posted elsewhere on this site and recorded in court documents, anonymous cowards have resorted to criminal means to intimidate the journalist. Perhaps that explains the distortion in other local media. The news they missed could be big enough to draw official attention that's a little harder to intimidate. September 9th Note: this article has been thoroughly researched. Some of the facts have been proven in court. 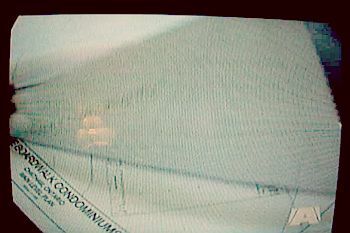 It was viewed by the mayor's office. There were no comments nor complaints registered. No notice of libel was received. Nobody demanded a retraction. The only response was a perhaps unrelated unsigned extortion attempt that took issue with this website. I propose that's a strong validation of these facts. There are more facts to come. It's been three years since auditor Bernard Nayman investigated the election finances of Randy Hope and Mary Lee. Despite finding non-compliances, nothing of substance was reported to council, and both candidates were let off the hook. "I'm afraid the media and council won't believe me if I report what I've found," stated Bernard Nayman beforehand. Subsequent attempts to obtain information about the audit have been obstructed by mayor Hope and the municipality. Mayor Randy Hope, who once championed openness and transparency before being elected, refused permission to release his own testimony to the public. An investigation is underway by the Privacy Commissioner to cut through the secrecy at city hall and gain access to the audio recordings made during the occasion. ...what election activities might have been so damaging that a lawsuit and other threats of litigation were required to chill scrutiny. Mary Lee, one of the audited candidates, even called the applicant and warned him to shut up. 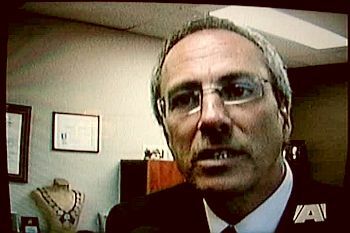 Randy Hope impressed upon the public how innocent he was during the audit, yet he found it necessary to lie to the auditor about several key issues. Preliminary results suggest that the reason for all this secrecy and obfuscation is that mayor Hope lied in his testimony during the audit. As a result of alleged false and misleading statements by Randy Hope and John Cryderman, the auditor found it easy to exonerate Hope and Lee, and avoid the stigma of bringing down a sitting mayor. Not many people seem to know that Randy Hope made himself head of municipal freedom of information requests, so he sees everybody's requests and replies, and is apparently now able to use this position to influence who gains access to municipal documents. It has also emerged that John Cryderman filed a pre-emptive lawsuit seeking damages from the compliance audit conducted against the mayor well before the results were presented. Cryderman then cited the lawsuit in an attempt to evade giving testimony to the auditor. While that strategy was ultimately not successful, Cryderman was allegedly able to narrow the scope of the investigation and influence the outcome by citing his litigation. The court action was never pursued following the audit, but Cryderman conveniently did not withdraw it either, effectively muzzling and driving up costs against his opponents. The statements Cryderman's lawsuit complained of being defamatory in the audit applications were largely proven true in the audit findings. One is left to wonder what election activities might have been so damaging that a lawsuit and other threats of litigation were required to chill scrutiny. Mary Lee, one of the audited candidates, even called the applicant and warned him to shut up. Randy Hope impressed upon the public how innocent he was during the audit, yet he found it necessary to lie to the auditor about several key issues. No matter how "trivial" the allegations were against the mayor, accepting an ineligible contribution pales in comparison to providing perjured testimony. The matter is still under investigation on several fronts, and new facts about the audit have emerged. Little more can be said at this time, except that local media completely ignored the explosive details that are turning up, even though they were there for the asking. 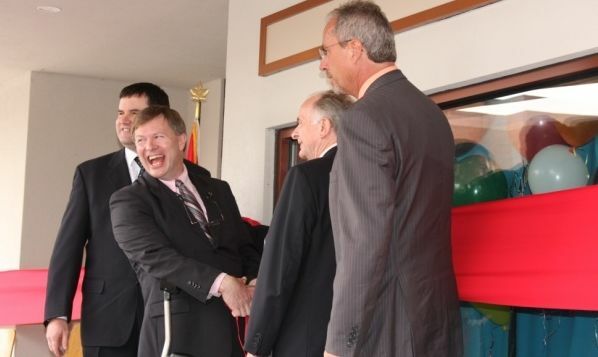 It is clear that local media has engaged in biased reporting in favour of mayor Hope and his many full-colour ribbon-cutting appearances, and failed to pursue any sort of investigative journalism. When the auditor's reports went before council on October 29, 2007, the public was not informed of the contents, nor did the media bother to report anything accurately - possibly under the chill or pressure from Mr. Cryderman's litigation about the matter. Normally a million-dollar lawsuit involving such political intrigue would be considered quite newsworthy. The auditor's reports were labelled "Confidential" in violation of the Municipal Elections Act, and did not appear in the public council agenda posted online. This is rather odd considering the original applications for the compliance audit against Randy Hope and Mary Lee are still available on the municipal website, despite the fact that John Cryderman is claiming $1.1 million in defamation damages over the documents. Perhaps people weren't supposed to know that the auditor got it wrong. While the audit itself is old news today, the fact it was misled by the mayor and his advisor is germane during an election year, as is the fact mayor Hope supported John Cryderman's efforts to litigate against his opponents on his behalf, including innocent citizens. Likewise, the issues being examined by provincial officials are very much relevant as new information emerges. The Maple City Star will post details wherever possible without compromising ongoing investigations. In the above reports, there is no mention of Randy Hope's advertising in Chatham This Week. While the auditor researched Hope's Chatham Daily News ads and subpoenaed copies, he did not pursue the Chatham This Week advertising with the same vigour, and did not retain copies of anything he did happen to locate. Considering information was received by the auditor that these ads were allegedly placed by a private businessman using his business account instead of Hope's campaign account, who then allegedly demanded reimbursement after Hope won the election, such a glaring oversight in the investigation raises additional questions. Richard Erickson recounting how it wasn't too cold at the Ethanol Plant farmer's protest, with Mayor Gagner countering, "It was in a skirt." Bill Arends explaining how tenatious he can be when he takes on an issue. Jim Comiskey on Dave Van Kesteren's absence at Women's Issues debate. "A proof is a proof. What kind of a proof? A proof is a proof.